You’ve heard it before: travel insurance is always a good idea. Accidents, crime and other bad things happen on the road, and in the event of a major emergency, the cost can amount to tens, even hundreds of thousands of dollars. Without insurance, you’re in real trouble — and the Internet is full of desperate crowdfunding campaigns from the family and friends of those who didn’t heed the warnings. If you’re a digital nomad, roaming photographer/filmmaker, or rely on your tech gear in some other way, you need to make sure your electronics are adequately covered as well. Especially when it comes to high-end gear, some general travel insurance policies have exclusions and limits that will leave you out of pocket if the worst happens. The type of travel you do, and amount of tech gear you carry, will dictate your ideal policy. Can you get by with general travel insurance, or do you need a plan with more specific coverage? Comprehensive and usually affordable, general travel policies cover all the basic needs, including medical emergencies, transit mishaps (such as delayed flights or missing luggage), and loss of baggage and important documents. When it comes to tech gear, some include limited cover as standard, others let you add specific items at extra cost. We took a look at some of the most popular policies, and how their equipment coverage stacks up. Popular with travelers the world over, World Nomads is one of the most-recommended travel insurance companies in the market. Several of our writers have been buying its policies for years. World Nomads offers two types of policies: Standard, and Explorer. Equipment and baggage is included in both policies, but the specific conditions depend on the traveler’s country of nationality and destination. The policy covers theft, loss, or damage from natural disaster or fire, and caps maximum coverage, both per-item and total. High-value items aren’t covered by the policy, but can be added at a cost. European residents, for example, can add up to ten extra high-value items, for a total €1,400 covered. No single item can be worth more than €700. Each item needs to be entered individually after selecting the policy, and includes laptops, cameras, phones, e-readers, and music players. This option isn’t available for all nationalities, however. US citizens, for instance, can’t add extra items. Any traveler, but as mentioned, remember that price and coverage changes depending on the age, destination(s) and nationality of the traveler. Occasional or frequent travelers who want an affordable, flexible policy, who are traveling without high-end equipment, or who don’t work from the road. Travelex is a long-standing player in the insurance market, and has several policies available catering mostly to travelers on short trips. Travelex offers several plans, from Basic to Max, as well as an product specifically for business travelers which covers personal belongings and company gear separately. Equipment is included in all of them, ranging from $500 to $2,500 in total coverage, without limits for a single item. The business version offers up to $2,000 for personal belongings, and $500 (plus $100 deductibles) for professional equipment. Travelex is available for worldwide citizens, but not all nationalities can make claims for damaged equipment. Business travelers from eligible countries, without much in the way of expensive equipment. Travel Guard is the travel policy from AIG, one of the biggest insurance firms in the world. The service covers mostly medical issues, but also includes baggage and equipment. Travel Guard offers three plans, Silver, Gold and Platinum. All three include equipment, for loss, theft or damage, with a total coverage of $750, $1,000 and $2,500, respectively. There are no per-item limits. None for equipment or luggage. US citizens. Price of coverage changes depending on age of the traveler. US citizens who travel occasionally, without a lot of equipment. If you’re a professional photographer or videographer who travels for work, the above policies won’t be enough to cover your needs. Depending on how often you travel, and the amount of gear you carry, you may want to look into a general insurance that includes extended coverage, or even a membership with a professional association that offers insurance. Prices vary widely, depending on the amount of equipment you want to insure, and your nationality. Associations for photographers, such as the PPA, ASMP or APA, offer insurance for their members, including equipment and medical expenses. Membership has other benefits also worth considering for professional photographers, such as workshops, networking, and even data recovery services. Photo equipment in general, with the specifics changing depending on the association and its policy. Usually there is a cap on total coverage, often around $20,000. Who Is Eligible & Who Would It Work For? Photographers, particularly pros for whom membership brings other benefits besides insurance. You will be hard-pressed to find a more comprehensive policy than this one by Hefferman Insurance, both in terms of the amount of equipment, and potential risks covered. Covers both owned and rented equipment, including cameras, sound equipment, lighting equipment, video recorders, generators, editing equipment, and more. The usual culprits, like theft, natural disaster damage and equipment in transit, but also expands to other potential risks, from minor (like falls or water damage) to serious (like terrorist acts or fire). This insurance will cover incidents both in the country of residence, and abroad during work trips. Pros, particularly those with a lot of equipment. This insurance is one of the most flexible in the market — you choose the exact items you want insured, and it’s then reflected in the price. Bear in mind coverage is different depending on the nationality of the customer, and the company only offers insurance for residents of a few countries. 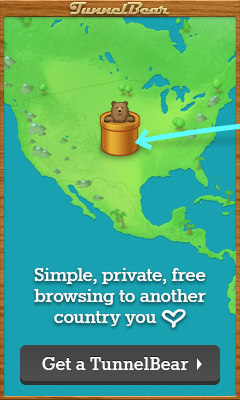 As of last August, that no longer includes the USA — if that’s you, skip to the next suggestion. Your pick, although some high-end video equipment may not be covered. The usual: theft, drops, accidental damage, spills and mechanical breakdowns. Coverage may be different depending on the nationality of the traveler. Both at home and abroad, just like InsureMyEquipment. Pros, particularly those who travel light – except US citizens. Tom C. Pickard & Co., a US-based insurance company with four decades under their belt, offers comprehensive video and photo insurance for US-based professionals , for both domestic and international assignments. Photo and video equipment, albeit via different policies: if you want to cover both video and photo, you need to purchase two different plans. It also has a separate policy for drones, so if you’ve added one to your arsenal, check TCP out. All plans include computers. The works: theft, accidental breakage, water damage, etc. Coverage for computers include data recovery due to an accident (though not due to a virus, so keep your protection updated). It also includes third-party coverage for producers, meaning if a subject or client sues you for damage or injury, the insurance can help with that. US citizens, particularly professional videographers and photographers. What insurance to pick is a deeply personal choice. No two travelers are the same, and whether you’re traveling for leisure, work or both, and how much equipment you’re taking with you, will be a significant factor in your decision. If you’re a regular traveler or a digital nomad focused on writing or computer-based work, a general travel insurance policy may be enough for you. If so, industry-favorite World Nomads is a good place to start. If you are a professional photographer or videographer who has international assignments, look into one of the specific insurance plans. ProtectYourBubble is a good option, unless you are based in the US. In that case, check out TCP instead. Do you use equipment insurance when you travel? Which one? For most of us, a simple homeowners or renters insurance policy will work for equipment, keeping in mind that most policies have a deductible of at least $250. For travel insurance, use of the right credit card can protect one in many ways, though emergency medical insurance isn’t one of them. Many health insurance policies will cover one when out of the country, but almost always involve one paying the bill and getting re-imbursed by the insurance company upon return home. I’m a retired insurance agent and have never purchased any sort of travel insurance, but as the author mentions, some high ticket items should be insured; check the limits on your own homeowners/renters policy and make sure that all of your gear is covered. If not, you can usually buy riders to cover specific pieces of equipment and if you’re a professional, such equipment may need to be covered under its own separate business policy. Thanks Bruce! I think the takeaway that we all agree on here is that it’s really important to check the details of any policy you plan to use to cover you when you travel. One thing I’d add, though — if you don’t have health insurance (many people outside the US don’t, because they’re covered by their public health system when in their home country), then travel insurance or some other policy that covers for emergency medical care overseas is vital. These are the costs that can, and regularly do, bankrupt uninsured travelers. First, thanks for mentioning us @ TCP as an option. We always ask our customers (photographers and producers alike) what their major concerns are when traveling, so we can understand what sort of insurance they will need. Some are only concerned about their equipment, and some want to know their liability exposure in other countries. It is very common that things get stolen in other countries, so insurance is definitely worth looking into if you plan on it.